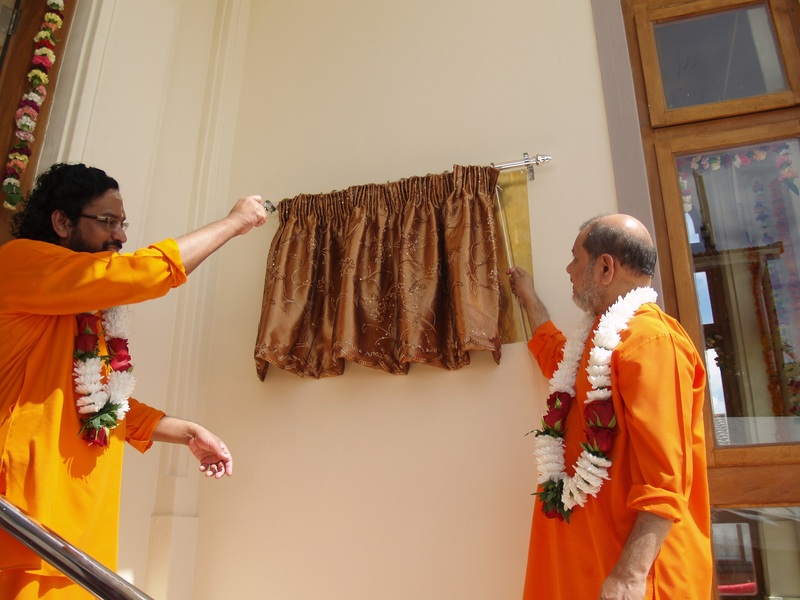 With the surrendered efforts of Swami Abhedananda, Chinmaya Mission South Africa reached the cusp of growth where expansion becomes a necessity to continue the momentum. 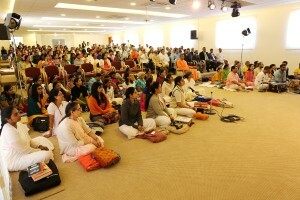 It was evident that the ashram infrastructure needs expansion to enable the progress. With Pujya Swami Tejomayanada’s blessings, Swam Abhedanandai gave the expansion project a glorious start by building a grand temple for Lord Shiva, in all its splendour and magnificence. Within the large and picturesque Chinmaya Ashram premise is this magnificent temple of Lord Shiva – that has become a monumental structure of Love, Knowledge and Service for posterity to cherish. The temple’s main deity is Lord Shiva who is seated in a meditative posture along with the Shivlingam inside the sanctum sanctorum. In the outer hall of the temple are the idols of Lord Ganesha, Mother Goddess Parvati, Lord Kartika and Lord Nandi. An internationally experienced construction team put in their dedicated efforts and completed this temple construction in a record time of less than six months in October 2012. With unmatched expertise of specialized temple architects & craftsmen from India and South Africa, a beautiful structure epitomizing the new abode of Lord Shiva, now stands tall in the Durban Ashram. The masterpiece statue of Lord Shiva – with His radiating smile and compassionate looks, has been made by the best sculptors in Jaipur (India). 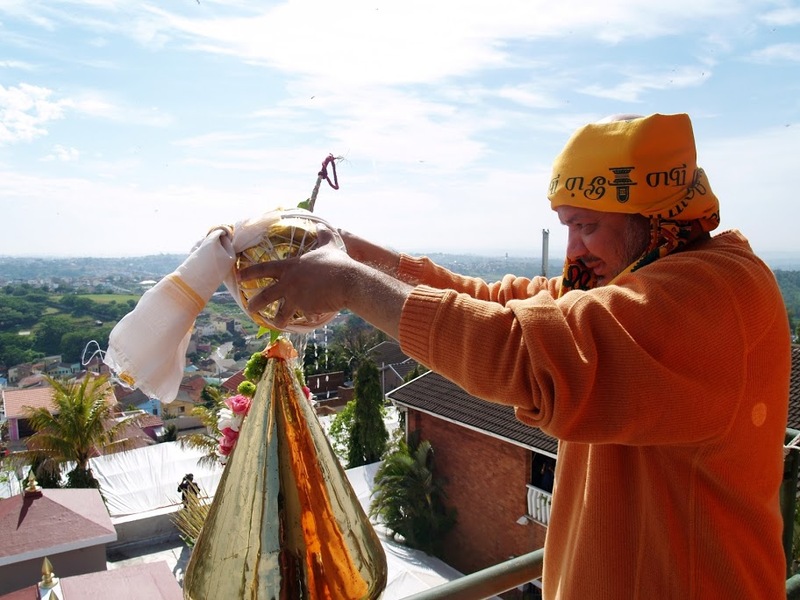 The Shiva-linga, which was originally consecrated by Pujya Gurudev was reinstalled in the new temple in the divine presence of Pujya Swami Tejomayananda on the 4th November 2012. 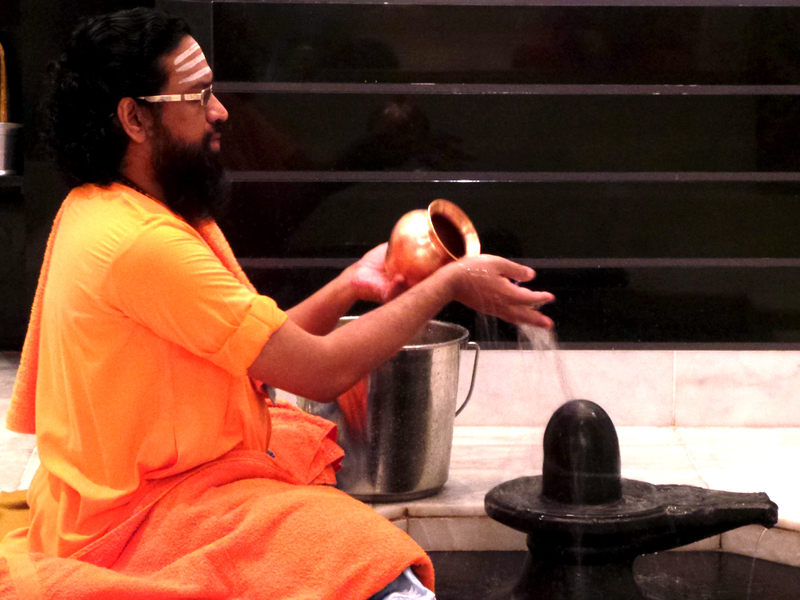 Swami Abhedananda performs 11 times Rudrabhishek for the Shiva-linga every single day, invoking His grace for the good and welfare of all. Thousands of devotees throng to the temple on special occasions like Mahashivaratri, to offer milk pots to Lord Shiva. Every evening, Aarti is offered to the Lord wherein several devotees come to receive the assuring and benevolent grace of Lord Shiva. 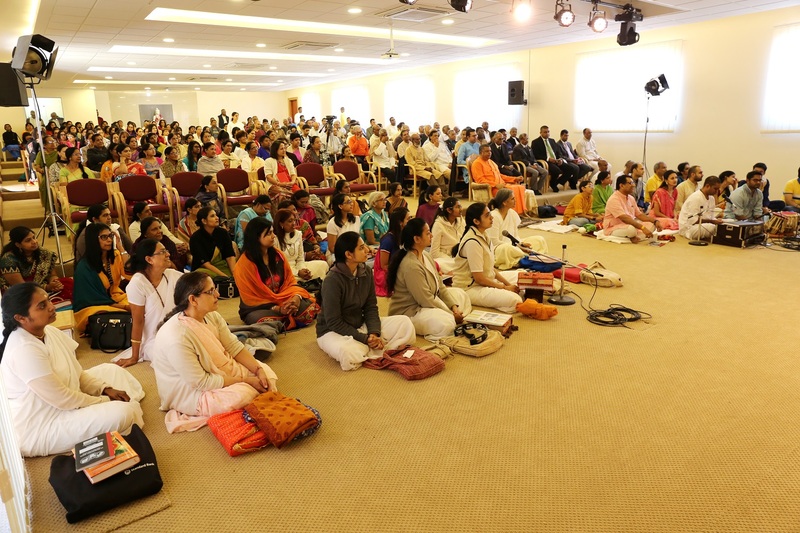 With a large hall to accommodate around 150 devotees during pujas and special occasions, the temple has become the heart of the ashram. 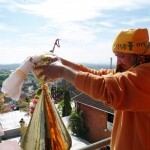 With an enormous increase in activities at the Ashram, it was not surprising that the all merciful Lord also provided the change in infrastructure needed to propel the Mission’s yeoman service to new heights. The remaining work to complete the project includes the opening of a new bookstall and finishes to the building exterior and yard. Such magnificent and magnanimous work within a record period of 2 years can only happen by the Lord’s grace. However the Lord also chose many instruments to complete this project of His. The Mission places on record its appreciation to all those who allowed this great vision to realise. We offer our pranams at the feet of Pujya Swami Tejomayananda for his continuous blessings. We salute to the dedication, faith and austerity of Swami Abhedananda who has been driving this project relentlessly. Every item in the building is the best it could be because what was a construction site for many was an altar for Swamiji where he offered His best to the Lord. A sapling that was planted years ago, watered with faith and purity, has now taken the shape of a beautiful tree, aspiring to spread its branches far and wide, with a hope to give spiritual shelter, mental solace and intellectual strength to everyone who comes and seeks its shade. 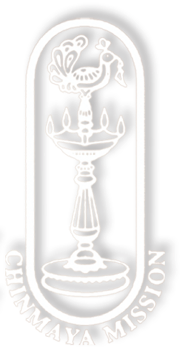 This is Chinmaya Shivam! The doors are forever open, to welcome the sincere, the pure, the faithful… Come, feel the magic of His Grace!